OK, this may be old news, but I have only just found out. In my dark days of banking I used to look at the financial news every day, but fortunately those days are over. Anyway, I just took a look at The Times Online and went to their business section. It is subscription only! Below is the form that greets readers now. 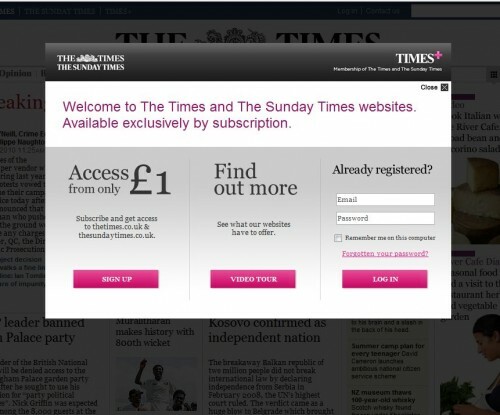 So you now pay £1 a day, or £2 a week, if you want to read their online paper.